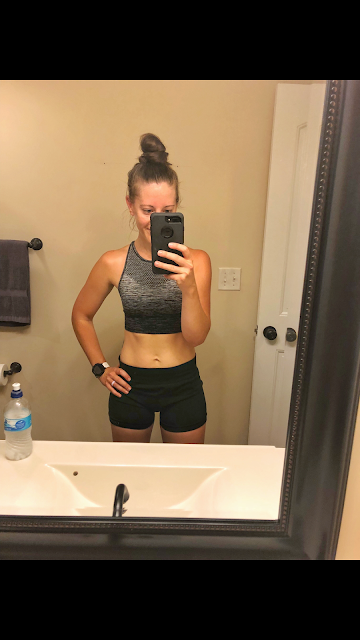 Tunnel Hill Training - Week One! 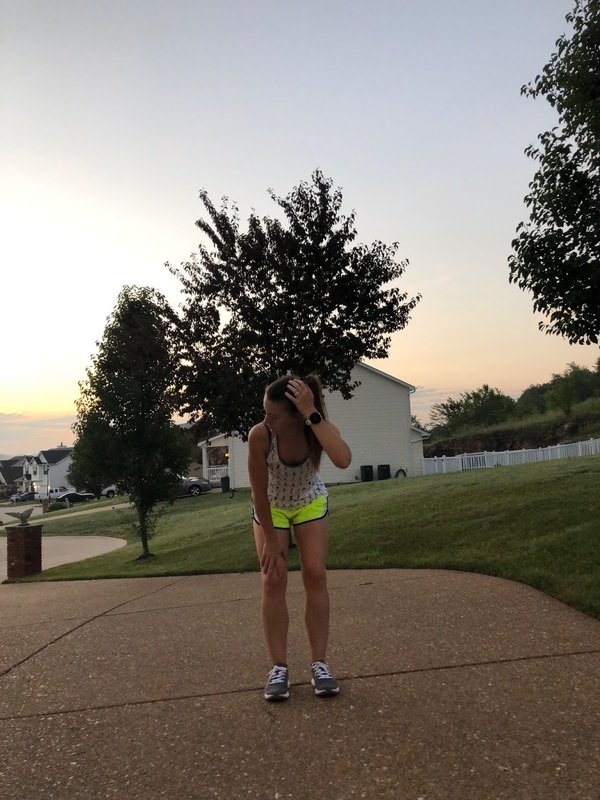 Another race, another round of training diaries! This time I'm training for my longest and most grueling race yet. In November I'll be running my first 50 miler at the Tunnel Hill race in Vienna, IL!!! They also have a 100 miler as well! As stated above I'll only be tackling the 50 miler this go around, but you bet I'll have my eye on the 100 mile distance!!! This race is a Western States qualifier after all, long term goals people!!! This is the first time I have EVER worked with a coach and I thought it would be a great idea because this distance is going above and beyond anything I could have ever imagined I'd attempt. Completing the 50K earlier this year was a huge accomplishment due to the terrain and the elements, however it was 30 miles and I had trained for a full marathon before (never having actually raced one, however due to injury)... I just know that 50 miles is such a leap that I desperately need the advice and coaching of someone I completely and totally admire and trust! My coaches name is Jaime and I can't say enough great things about her, she's an incredible athlete and such a warm and inviting person all around! I had been wanting to work with her since I found out she was a running coach and I KNEW this was the perfect opportunity! She ran this specific race last year herself and crushed it, further proving why she's just the perfect coach for me in this situation!!! Now that we have that all taken care of let's get down to business. I did this run on the treadmill because the day was hectic and I didn't make it outside. The treadmill is always easier for me, I'm not sure if that's the case for anyone else but I can just run faster. I can only conclude that this is because the ground is moving underneath me instead of my hitting stationary pavement and the fact that I'm in a controlled environment in a nice cool and zero humidity basement. However, I did average an 8:07 treadmill pace and I'm not complaining! Got out on the track for this one!! I love fartlek runs so much, speed work in general is my jam! Not going to lie I kept my pace pretty darn even too which NEVER happens on the track! Again, super happy with the splits given the fact that I worked that night and had to come home and get it done after 9pm! Got these done on the track with my track running buddy! Hit a 9:28 pace and I'll take it happily out there on the track! Also, I did get home before either kid woke up and spent the ENTIRE day running around doing everything Charlie wanted to do! Another treadmill day for me! We had Charlie's birthday party on this day so I squeezed in the run post party but pre bed time! There wasn't much time to get this done and I seriously considered just skipping it but I knew I couldn't do that, I would totally be down on myself the entire night and next few days about it if I didn't power through! 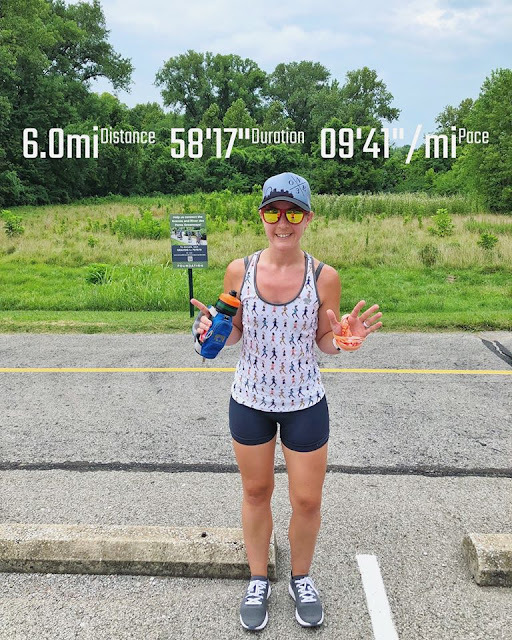 8:50 pace, I was tired and hungry so I just wanted to get it done so I could eat something, get the boys to bed and rest the rest of the night! 6 Miles : Long Run! First long run of this cycle!! I was ready for this run, I mean extremely ready! 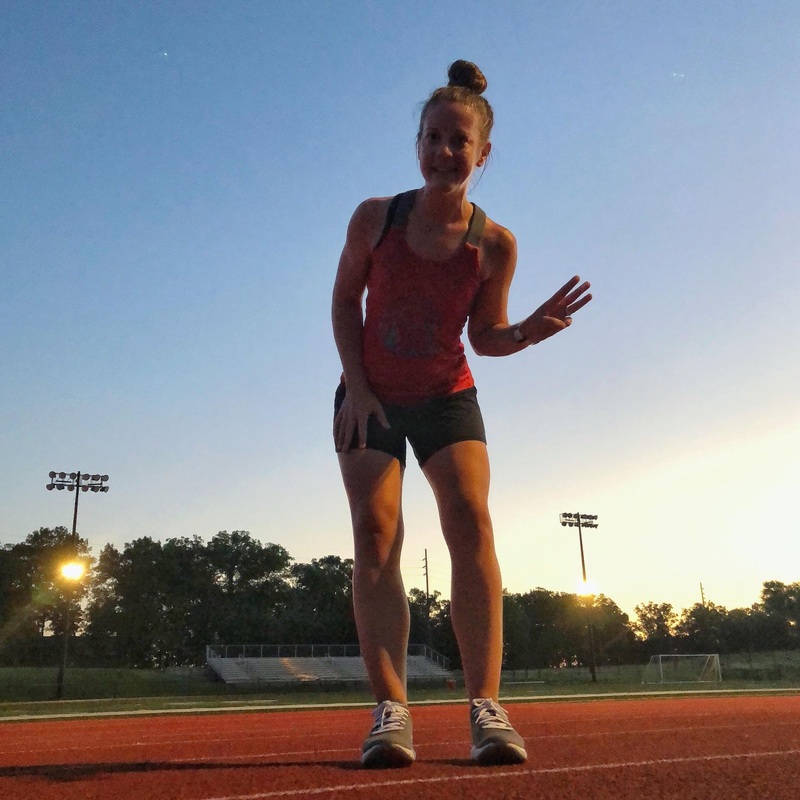 I hadn't run past 4 miles in quite a few weeks, my legs were loving the distance and even though I forgot my headphones and didn't have my trusty BibRave Podcast to listen to, it was so nice to just take in my surroundings! 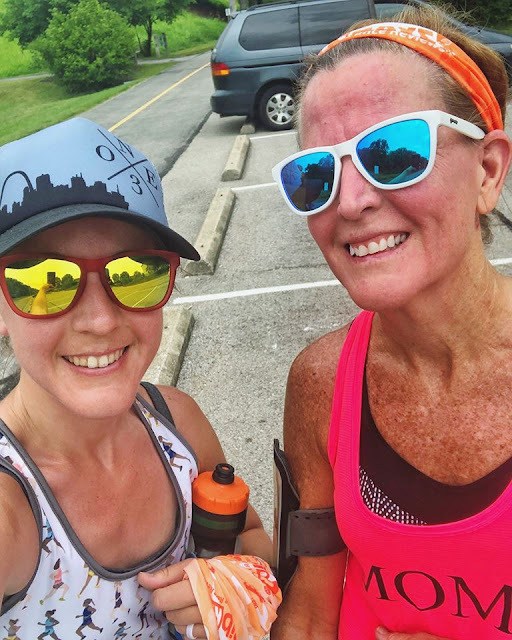 My mom got in a run at the same time so meeting up with her at the end and doing our warm up and cool down together was just so much fun! I hope everyone's weekend was awesome and here's to another week!! 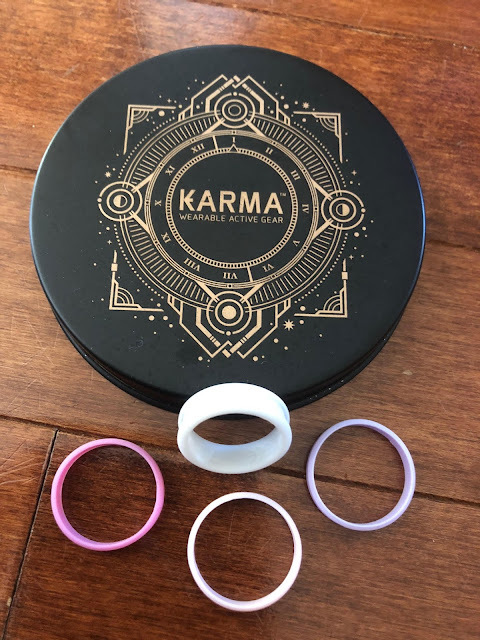 "Disclaimer: I received Karma's Duo Silicone Ring to review as part of being a BibRave Pro. Learn more about becoming a BibRave Pro (ambassador), and check out BibRave.com to review, find and write race reviews!" 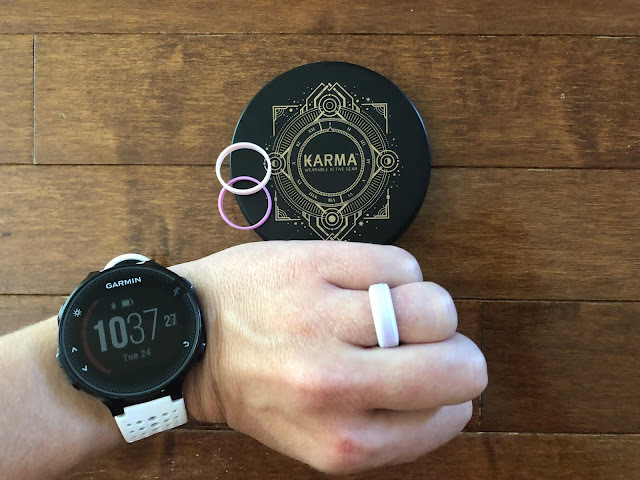 I know I've shared my issue with my actual wedding ring all over social media here lately. 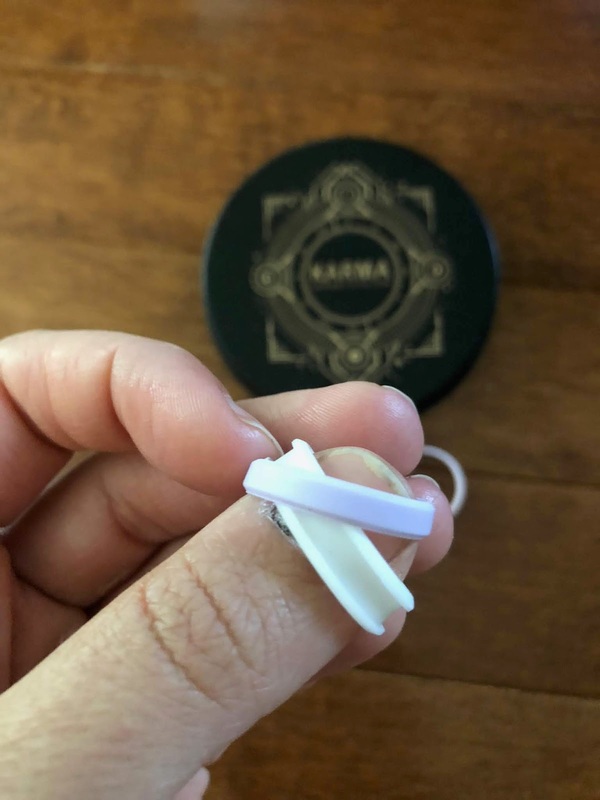 While I still have to figure out what's going on with it and if I can do anything to fix it, I've been wearing silicone wedding bands. When the opportunity to test out Karma's Duo Silicone Ring came about through BibRave I jumped at the chance, after all I was definitely in need and this fit the bill! 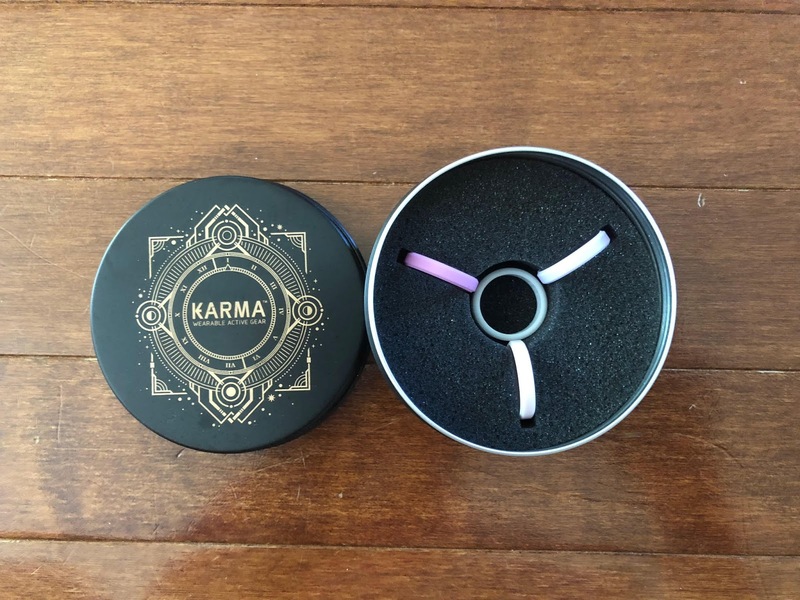 They came in such a cute package and to be honest I wasn't 100% sure what I was going to get and I was even a little confused at first. Then it all clicked and I realized the colors on the outside are interchangeable accent colors to go on top of the main band. I love having options to go with my mood or what I'm wearing so this was a total win! Then I did some more research about these particular bands and the message that the company is trying to convey with them. I loved that idea! The idea that instead of JUST using the colors for a different mood or outfit you can actually assign goals to the colors of the band, then when you meet the goal you switch out your band! 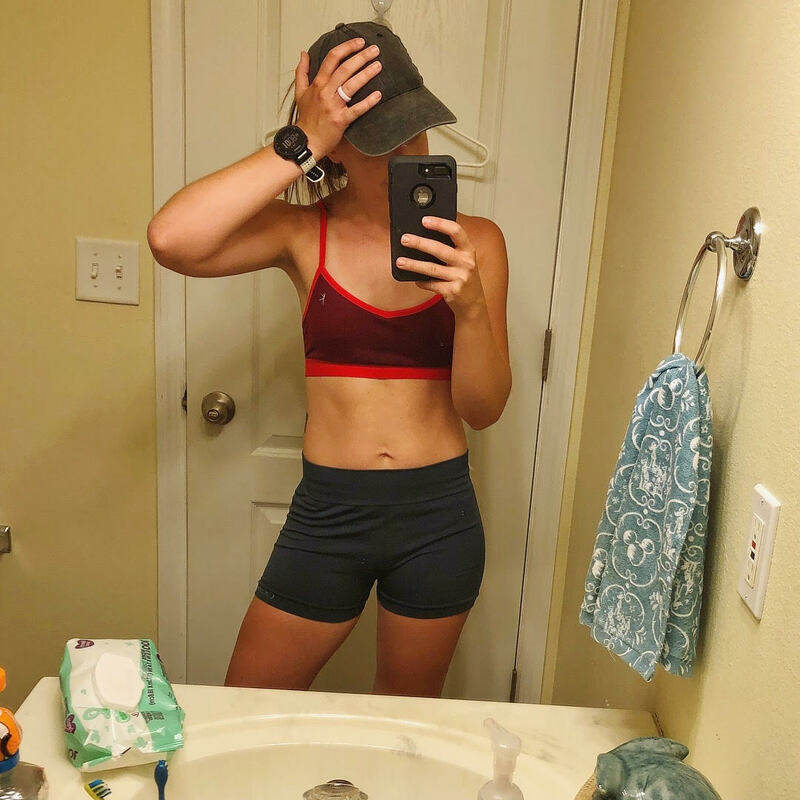 I know I'm a huge mental runner and person in general so setting goals and having a physical representation of that to look at on a daily basis is extremely appealing! I just love that there can be so much meaning into something so simple. 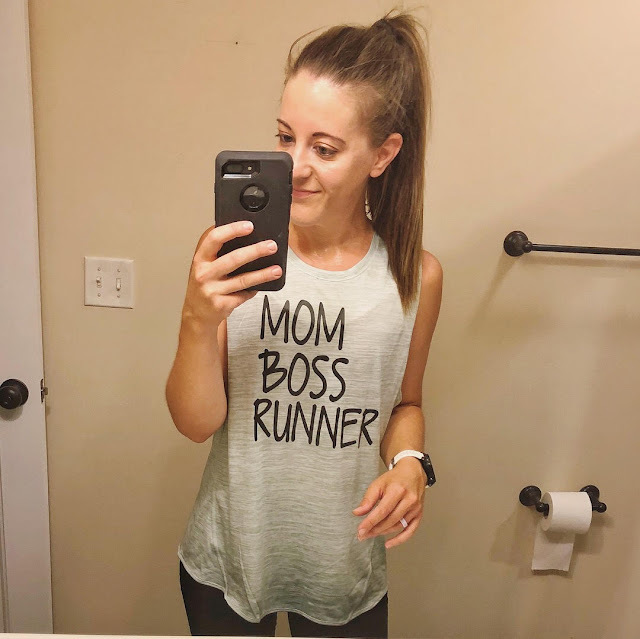 Running and athletic gear can mean so much more if you just take the time to look a little deeper which is just so awesome!